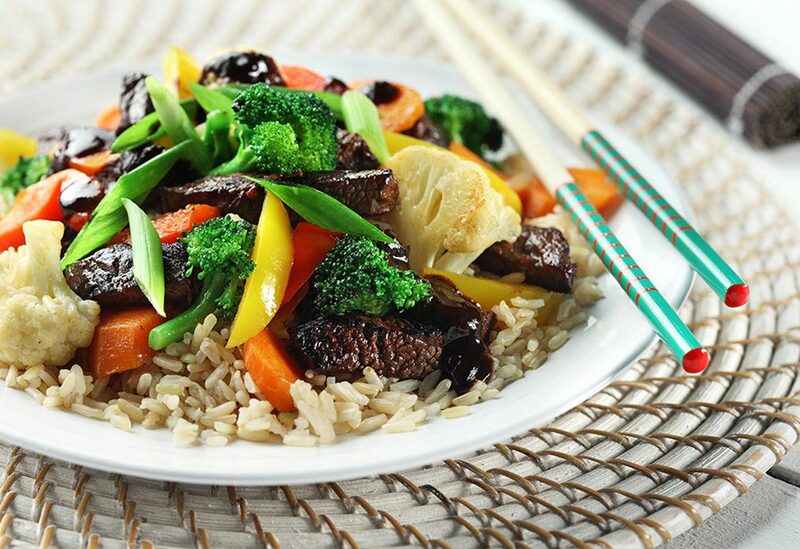 Assembling the ingredients and preparing the vegetables help make stir-fries cook up fast and easy. 2. 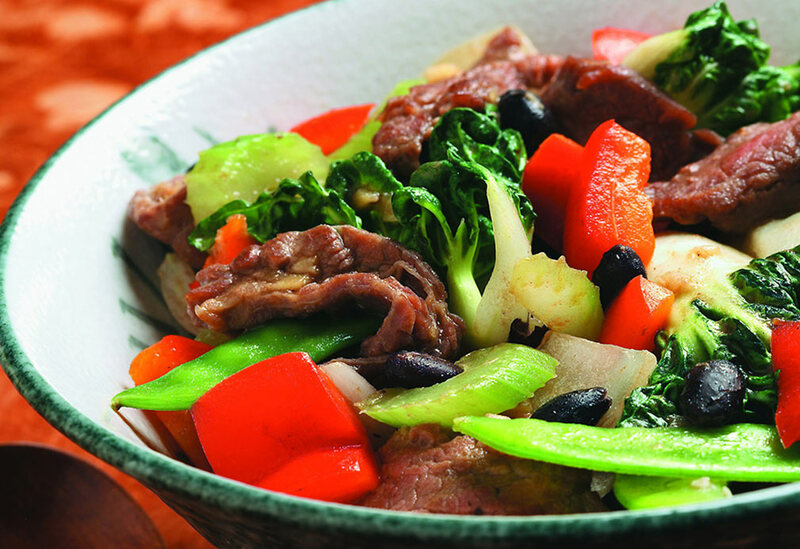 In small bowl, combine all beef ingredients, tossing to coat sirloin. Cover and refrigerate 10-15 minutes. 3. In large sauté pan, heat canola oil over medium heat. Add onion and sauté 2-3 minutes. Add broccoli, cauliflower, red and yellow peppers and carrots; sauté 5 minutes. Set aside and keep warm. 4. Return sirloin with marinade to sauté pan and cook until meat is well done, 3-4 minutes per side. Add vegetables back in and heat through. Serve over brown rice. Garnish with chopped green onions. This classic dish is flavored with preserved black soybeans that are fermented with salt and spices and is a popular seasoning with meat, seafood and poultry. 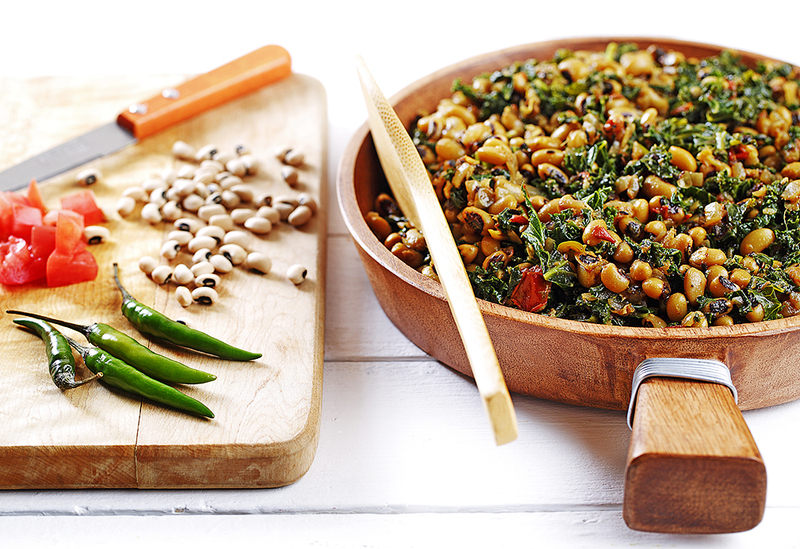 This is one of those curries that is not only good, but also good for you. Mustard greens house an incredibly large amount of iron and provide a hint of bitterness to the saucy peas. Mangoes have not always been a major cooking ingredient in Chinese cooking but with the introduction of modern fusion cuisine, it has become a popular staple. Traditionally candied walnuts would have been the garnish for this type of dish but here macadamia nuts provide a nice balance. 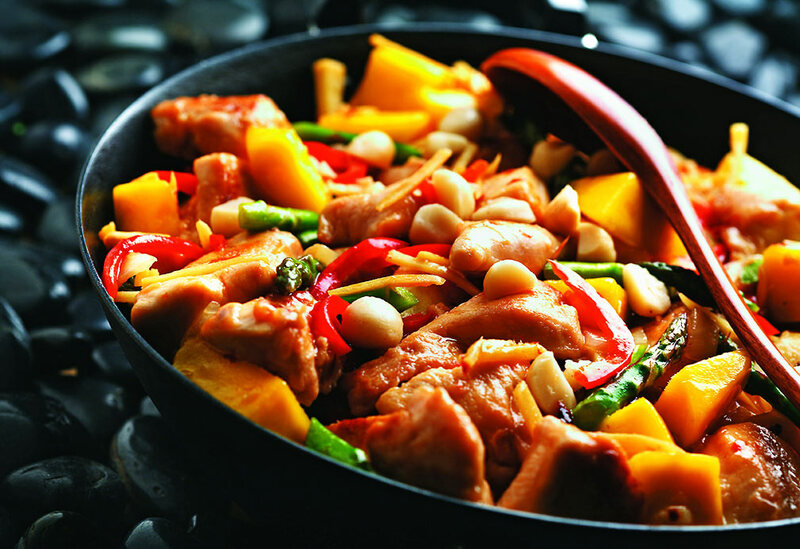 Use a slightly under-riped mango as it will hold up its texture better when stir-frying.